Florida Fish & Wildlife Commission biologist Kathleen Smith shot this photo of a swallow-tailed kite roost in Corkscrew Swamp Sanctuary just over the CREW Bird Rookery Swamp border while doing wading bird survey flights over CREW in June. Swallow-tailed kites migrate to southwest Florida from South America (Brazil) to nest during our spring/summer seasons. By June, the young are fledging and flying with the adults in preparation for their journey back to South America in August. 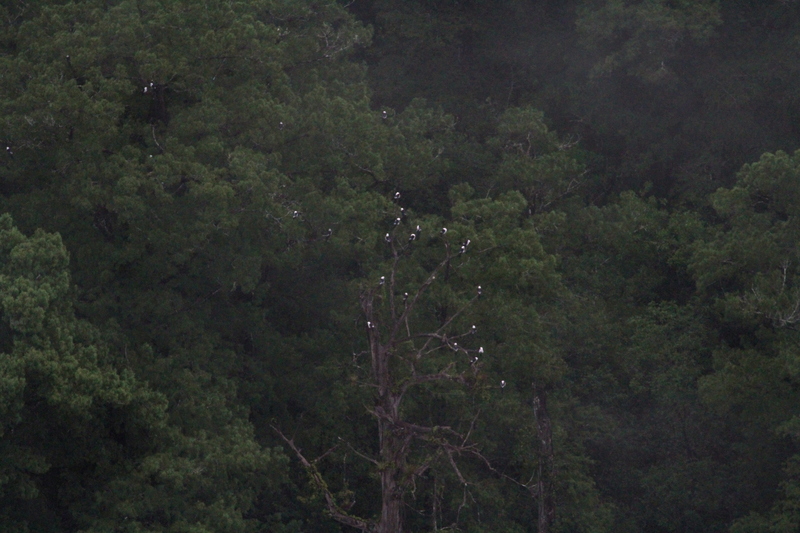 Here, you can count as many as 19 birds roosting together on one tree with a few others scattered in nearby trees. The Corkscrew Regional Ecosystem Watershed (CREW) provides critical habitat for this at-risk species. Your support of CREW and other conservation organizations that protect habitat helps species like these kites survive.